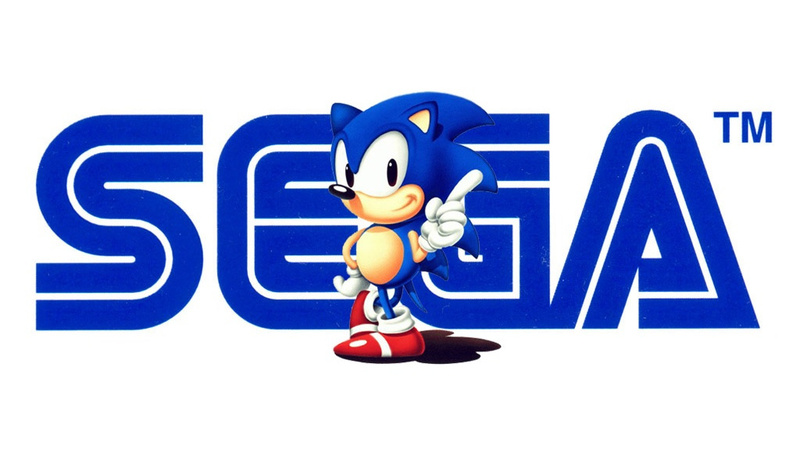 Sega Says Its Retro Release Strategies "Can Be Opportunistic As Well As Strategic"
Wherever you look, and whichever current gaming platform you own, there's a wealth of retro Sega content to sink your teeth into at the click of a button. 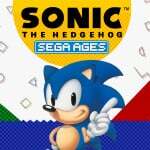 From the recent launch of the Sega AGES line on Switch and the Sega Mega Drive Classics collection on all major consoles (Switch coming soon), to the Sega Forever service on iOS and Android and the upcoming Sega Mega Drive Mini, players are spoilt for choice when it comes to their favourite nostalgic hits. With so many options available - which, let's face it, is in complete contrast to Nintendo's current lack of Virtual Console on Switch - it's easy to wonder what goes on in the minds of those pulling the strings at the house of the blue blur. Is it all an elaborate plan to dominate every system available, or is it simply a case of experimenting to see where sales can be found? Speaking to GamesIndustry.biz, responding to questions about the company's retro strategies, Sega Europe SVP of commercial publishing John Clark reveals that it's actually a bit of both. "It's looking for viable routes to service the community and really trying to figure out the best way to bring the right content at the right time on the right platform. "There is a thought process that goes behind it. At times, it can be opportunistic as well as strategic. Sometimes it's joined up and sometimes it's less joined up." Clark goes on to note that Sega is a "diverse and open" organisation, supporting initiatives that may come from a local level as well as grand initiatives on a much more, traditionally business-minded strategic level. "When you see the patterns, the different variety of ways our retro content is released, it's as much a grand strategy as it is localised initiatives. It's incredible working with an organization that supports both." For any Sega fans in the room, have you been happy with how the company's legacy content has been handled in recent years? Would you like to see anything different from Sega going forward? Feel free to share your thoughts below. But yet they won't add Jet Set Radio. I never played the games, but it's what the fans want. I most certainly wouldn't mind getting a new game in any of those series, and I wouldn't mind some Dreamcast remasters either. Guess we'll find out sooner or later, what Sega's actual plans are, and if they're going to stick to their word about also bringing games from other systems. That would surely have to mean Saturn and/or Dreamcast, but we'll see. Hopefully they "opportunistically and strategically" re-release PSO 1-3 (with Blue Burst content) and custom server options on modern consoles. Their complete silence (with regard to PSO) in the west in the face of Destiny and Monster Hunter's success has been the greatest display of incompetence I've witnessed by any game developer. Honestly, I’d like them to get their light gun arcades ported to the switch. @ThanosReXXX See, being born in the early 2000s means I missed out on most major games before the Wii. And it was only last year we bought our first non-Nintendo console. So GameCube/Dreamcast remasters would be great for someone like me who wants to experience all these games. A lot of the time, it's mostly a case of "Let's get our famous Megadrive games running on as many systems as possible". It's an inexpensive venture and allows them to continue profiting on their IP after all. @ThanosReXXX First they'll release Genesis content. Then they might release Sega CD and 32x Content, but they'll only release one or two. They'll sell it as a new bundle, but then you'll find out you could have obtained it for half price as DLC, right around when they introduce the Saturn games. Unfortunately they'll release the Saturn content before they announce it, and will include no third parties in the launch. Those will be included in the second edition release, but that will be discontinued a month or two after launch. Then they'll start putting out some DreamCast content, but, unfortunately the whole platform will be a write-off by then and will be turned off. OTOH there's beautiful examples of talking while saying nothing at all here. I thought it was a Reggie quote at first. I am required by international law to request Super Monkey Ball 1 and 2 whenever these articles pop up. @GrailUK I believe it was first decreed in the Magna Carta that you must do that. I say throw every bit of retro Sega goodness at us that you possibly can from all consoles & arcade and just when you think they exhausted the library they probably didn’t. Beyond that if the games sell well on Switch then PS4 and Xbox should then be considered!! I already see the first sonic in the eshop top 30 so that’s a good sign!! @GrailUK Thank you for your service to this planet. 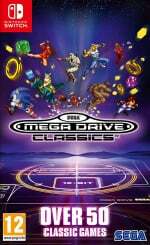 What was the thought process behind putting out a Mega Drive collection but missing out two Sonic games? So you can hold them back for another collection? So we have to spend cash to buy them separately? Opportunistic is the correct word. Lately i found myself wishing for SEGA to go back in the console business. @Matthew010 Hey, no argument from this old gamer (47) here. Wouldn't call having AtGames handling retro throwback consoles strategic. Having uncompressed roms available on steam, however, is great. If SEGA is listening then I want all of the Yakuza games, plus the two Yakuza Feudal Japan games. I would also like all of the Shenmue games. If I can only get Shenmue 1 & 2 , I would still take them. So is it safe to say at this point that if you're a passionate enough and a skilled enough a developer, then Sega may green light you for the development of their classic IPs? If Sonic Mania and Streets of Rage 4 are any indicators, then this is truly a "new" Sega and a great time to be a Sega fan AND developer. No offense to Sega, but it's starting to feel like their "dev-fans" can make better Sega games than the masters themselves, and perhaps, it's no sweat off Sega's back, or money blown, to do business this way..... but I digress. As long as the Sega games are good and fun, retro-remake or future-retro, then I'd say that's all that matters. I have all the "SEGA Ages" I care for at the Yakuza arcades. They can't make good games anymore so why not release the old games for easy money. @GrailUK I don't even think I can count how many hours I spent on Monkey Billiards. I’ve bought SEGA collections in the past, but almost never play them. My nostalgia is in NES/SNES, but I do cherish the memories of middle school lunch table wars between Super Nintendo and Sega Genesis families. I will continue to buy the collections to keep the memories alive. There's a thought process behind anything Sega does? How do you explain them either being bankrupt or near bankrupt all the time then? Here’s an interesting strategy: release Dreamcast games. What I want is Saturn and Arcade releases. Give us those and I will buy them on any platform you deem fit, Sega. Virtual On, Burning Rangers, Panzer Dragoon Saga, Scud Race, Guardian Heroes, Daytona 2, these are the games I really want to play all over again. If being opportunistic means SEGA goodness all across the industry, then greed away, SEGA, greed away! They could like, sell Sonic 3 in HD, but they don't like money. What is Sega talking about? They got some genesis games out there with emulation worse than the pirated stuff (M2 being the exception). Fan studios are coming to them to revive their back catalogue. Sega is so far gone that they call selling the At Games console part of a ‘grand strategy’. It’s like Nintendo doesn’t exist to them and there’s no standard for how to manage your historical content. They have to measure up but this suggests they’ll likely never do it. What i want from them is new games from both old and brand new IPs. (since a new console it's close to impossible...). @ThanosReXXX I guess we are both old time gamers. @Borshi excuse my chirpy response but this article has perplexed me. SoR4 may be a sign of good things to come from the studio that pitched the concept to Sega. Sega has yet demonstrate in this day that they understand how to handle their back catalogue by themselves. No need to apologize at all. I agree with what you said. I meant it as a sign that if the game turns out to be a hit, they may just realize that Sonic is not the only classic IP they have to use. @Borshi I’m really looking forward to it like nothing else. I hope it’s a success. It's time for Dragon Force to make a comeback (and a translation for Dragon Force 2). Sega released it for PS2 a few years back, but it never gave it a western release. 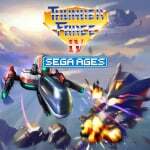 I wish SEGA would say when the next Sega Ages release is coming. I'd love the Shenmue series. Skies of Arcadia and a compilation with 75 Master System Games on it. @WinterIceFox They can't even sell Sonic 3 in SD anymore & the previous 2 Sonics are botched releases. @ekwcll Yup, suppose we are. Nothing wrong with that, though. But to be honest, I didn't think back then, that I would still be playing games now, so in a way, I'm also kind of surprised that I still am. I really see no reason to complain here. Sega is offering a lot of their retro games on many platforms. Even if every title doesn' t make the cut it's still way better then how Nintendo is handling their retro library. I'd much rather have the option to buy these games then not. I just hope they continue to increase the library and hunt down more 3rd party licenses. Konami and Capcom need to be involved and Sega should hunt down licenses for defunct companies like Data East.